For those of you who are Google addicts like myself, you should find this piece choc-a-bloc full of Chrome apps for you to gorge yourself on. Whether it’s gaming you are looking for or an app to help your business run more smoothly, you should find something here to satisfy your taste buds. The Google Chrome Store makes me feel like a kid in a sweet shop at the best of times, and if you haven’t checked it out already you will find it hard not to after reading below. 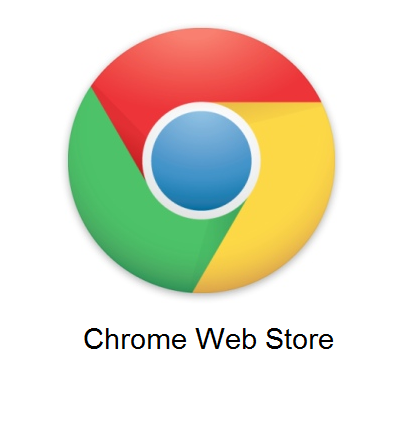 Bear in mind that you need to be using the Google Chrome browser (to enjoy these apps), so download it now and start browsing in the shop and on the Internet. One of the best apps I have found on the Google Chrome Web store is the ZOHO Invoice app, which I now use religiously to process all my invoices and keep track of payments and expenses all in one place. The Chrome Store offers the free version, which does limit you somewhat and means you can only process a certain amount of invoices / quotations per month. If you find that you like the app and would like to use it for all your transactions then the full version can be purchased within the app for a very reasonable price. I use the monthly model which is $15 (US) a month and suits me perfectly for high-volume billings. I’ll have to start with the obvious here, and if you haven’t heard of it, then you must have had your head buried in the sand for awhile now. Two words: “Angry Birds“. This game has taken the world by storm over the past 2 years and is still growing at a phenomenal rate. There are two versions to choose from in the Google Chrome store: the original “Angry Birds” and the follow-up “Angry Birds Rio”. Whilst other platforms like iOS boast of 4 to 5 versions, these two will be enough to feed your addiction for now. The “Angry Birds” games are a great way to unwind either during a busy day or in the evening with friends. I love this game so much that I bought the t-Shirt (yes, there is an Angry Birds store). Download and enjoy on your Google Chrome browser free of charge. It can only be the amazing Dropbox. This free app has been in my life for two years now and I really don’t know how I ever lived without it. No need for a memory stick or extra hard drive when taking documents on the move. Simply save files into your Dropbox, and wherever you log in, your documents will be there, too. By using the Google Chrome version, you have instant access to all your documents and important files right from your browser. “Facebook quick share” is one of the most useful apps I have come across for sharing files via Facebook. Ever been on a site and read an article you liked or viewed a video that made you chuckle? You then try to share it only to find that the site has no Facebook integration, no ‘Like’ button, and no ‘Share’ tab in sight! Well, this clever app allows you to share instantly any site, article, video or blog with your pals on Facebook with a simple click of your mouse. A great free app for Facebook lovers. Now, here’s an app I was not expecting to see in the Google Chrome store. With that said, I downloaded it as soon as I clapped eyes on it! Windows Messenger right in your browser, now that’s what I call handy. If, like me, you need to be available at all times of the day to answer client’s questions or discuss ongoing work, then this is by far one of the most useful apps you can have at your disposal. Let’s face it, for all the ingenuities of the past ten years, Windows Messenger is still high on my list of must-haves. Those are just some of my favorites. You should also check out the five Google Chrome apps below, which are great for Social Networking, Gaming, and Productivity in the workplace. Take some time to browse through the Chrome Store yourself and pick up some great apps at zero cost. Chrome offers some fabulous apps for small businesses who may not be in a position to invest heavily in traditional software. Make sure you leave positive ratings for any apps you love; it’s the least we can do for the developers who are offering us these gems free of charge. About the author: Izaak is an Android fan and works for an SEO Agency. London is his base, where he supports a range of busineses in their SEO, such as No.1 Traveller, who own airport lounges. Heathrow, Gatwick and Stansted are their current lounge locations. Can’t agree with you more on Dropbox, it makes life so much easier when you work on a number of computers. Yes! Dropbox is simply marvelous. The power of being able to access all your files, info, etc.. is just sheer genius. I’ve been using Google Chrome for more than a year now and I still can’t fathom how an application such as this one is free from charge(not that I’m wishing for it to go premium or anything). This browser is definitely a keeper. I have never used Google Chrome. Is it better than Mozilla Firefox? Please let me know! I agree with you that one of the best apps of Google Chrome is the ZOHO Invoice app. It is perfect for keeping track of payments and expenses all in one place. You should all try it.